A Which? undercover investigation has revealed multiple failings by Whirlpool in dealing with customers owning fire-risk tumble dryers. Following reports of almost four million fire-risk dryers in UK homes and some customers having to wait up to a year for their machine to be repaired, Which? made undercover calls to the Whirlpool call centre, surveyed more than 800 affected owners and heard in-depth experiences from 40 case studies. Delays: We were consistently told it would take 8-12 weeks to get a customer ID before anything can happen – something that should be done at the push of a button. Waiting times for repairs are still very long – a third (32%) of people surveyed who opted for a repair were told they would have to wait six months or more. Confusion: We found that consumers are being pushed from pillar to post. On our mystery shop phone calls when posing as a consumer with a nine-month-old dryer, we were repeatedly told to take up a claim for a replacement with the retailer. Many of our 40 case studies tried this route and were told to take this up with Whirlpool. Whirlpool told us they were surprised by this, they would investigate and that this kind of behaviour was entirely inconsistent with their policy. Witholding information: Whirlpool has still not published a complete list of the affected models – at least 127 Hotpoint, Indesit, Creda, Proline and Swan dryers – leaving the burden on consumers to find out if their machine is affected. Whirlpool tells us that it wants to avoid unnecessarily confusing consumers and that owners can use the model checker on its website to find out about affected models. Safety: Six in 10 (62%) affected customers told us they were concerned about using their dryer while waiting for a repair; yet numerous call handlers on our undercover calls told us there was “nothing to worry about” when using our machine, as long as we followed safety instructions. Limited options: Consumers are stuck between a rock and hard place – faced with a decision between lengthy delays for a repair, or paying for a reduced priced replacement. One in five (20%) Whirlpool customers who opted for a replacement felt they had no choice but to pay for a new machine and a third (33%) said that, given the option, they would rather pay for a replacement than wait so long for a repair. Dissatisfaction: Consumers overwhelmingly feel that Whirlpool is failing them. More than half (54%) of the affected customers we surveyed felt dissatisfied with the way Whirlpool has handled this situation. This rises to eight in 10 (80%) among those who had to wait six months or more for a repair. Opportunism: Our undercover calls revealed that Whirlpool’s recorded opening message automatically opts callers in to receive future marketing calls unless they ask to opt out. Whirlpool says that consumer data collected as part of the modification campaign isn’t used for marketing unless a consumer has already registered their interest elsewhere. If you’re considering replacing your tumble dryer, check our list of the Best Buy tumble dryers that Which? recommends. Alex Neill, Which? Director of Policy and Campaigns said: ‘Whirlpool customers rightly feel dissatisfied with how they’ve been treated, being faced with delays, confusion and a lack of information. Whirlpool must clean up its act and sort this mess out. Find out about your consumer rights if there’s a product recall. Due to the scale of the recall we believe you’ll be best served by pursuing your claim with Whirlpool rather than being pushed from pillar to post between manufacturer and retailer. Replacement or repair? Many feel stuck between a rock and hard place when deciding which option to choose. Don’t accept an inferior replacement, either haggle for a better machine or wait for a repair. Keep chasing If you opt for a repair, keep calling to chase your customer ID and to get a confirmed repair date as soon as possible– don’t let Whirlpool off the hook. Opt out If you want to make sure don’t receive any future marketing communications from Whirlpool you should ask to opt out from marketing calls when you contact Whirlpool. I have a Whirlpool dryer and don’t know if it’s affected, what should I do? We don’t have a record of all the models that need modification. Find out more about those we do know about on our list of 113 of the 127 affected Whirlpool, Creda and Indesit models that we know of. You can call Whirlpool on 0800 151 0905 to find out if your dryer needs modification. 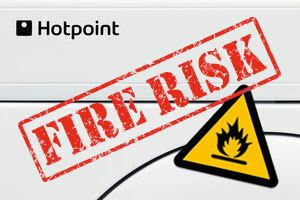 You can also go to the Hotpoint or Indesit websites where you can input your model number and if your model is affected, you can then register for it to be serviced and modified. Creda dryers can also be checked on the Hotpoint site. The failings highlight major issues with the current product safety regulations. Which? has submitted this evidence to the Government’s new steering group, established following Lynn Faulds Wood’s review. We are asking it to review the Whirlpool case, look at how existing law applies in these situations and make practical recommendations to improve the product recall system within the next month.